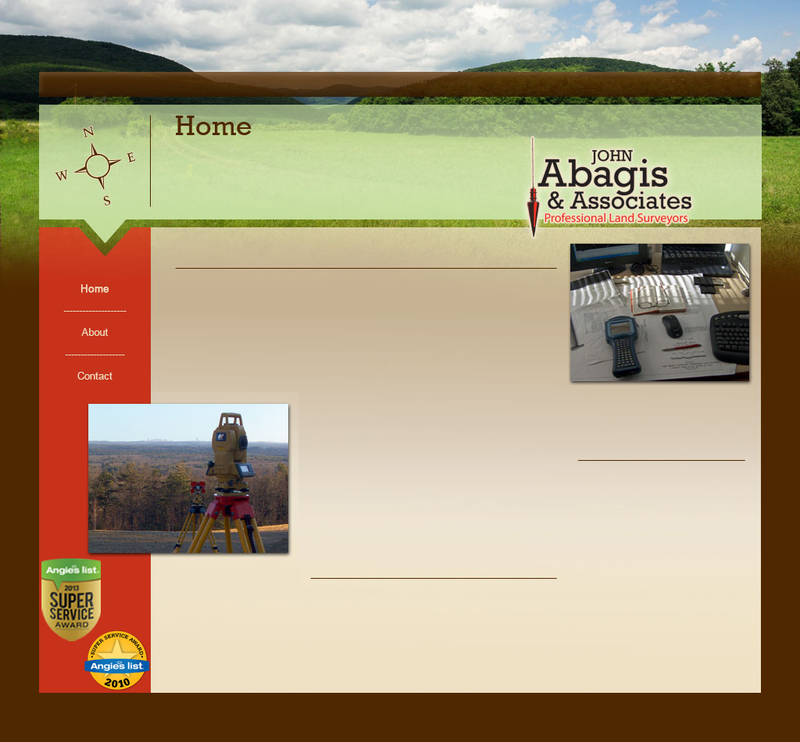 John Abagis & Associates is a family owned, professional land surveying business located in Andover, Massachusetts. Founded in 1990, we have consistently provided quality land surveying services to homeowners, attorneys, architects and builders. We pride ourselves in providing accurate, personalized, on schedule and on budget services, so much so that these traits have actually become our hallmark. Land surveying is our only business, our focus and passion. We undertake each project as though our reputation and integrity depend on it... because it does. Our mission is to combine our technical expertise and many years of practical knowledge and experience to generate a finished product that our customers are pleased with and that we are proud of. Land surveying is crucial in many situations and yet many land owners neglect to have one done until an issue arises, often costing more to correct than to have had a proper boundary survey performed initially. Whether you are buying, selling, improving your property, want to identify existing conflicts and encroachments, want to avoid creating an issue, or own land and just want peace of mind, it is a wise decision to have your land surveyed by a registered, professional land surveyor. Many people receive a ‘Mortgage Inspection Plan’ upon purchase of a home. These are approximate tape surveys used to determine zoning compliance and flood insurance issues, as the disclaimers and caveats on these plans indicate. They are not complete boundary surveys and do not adequately address the same concerns or accurately depict the premises. Whether you have a residential or commercial project, contact us to discuss it in further detail and receive a free estimate. Welcome to the John Abagis & Associates website. We take pride in providing accurate and professional land surveying services in Massachusetts. Please feel free to browse our site and contact us if you have any questions and/or to set up an appointment. Land Surveying Is Our Business. © 2010-2019 John Abagis & Associates & LTD Company, Inc. All Rights Reserved. Land surveyors for: Andover, North Andover, Lawrence, Lowell, Wilmington, Tewksbury, Dracut, Chelmsford, Westford, Methuen, Reading, North Reading, Woburn, and surrounding MA areas.